Click the Network & Internet entry. 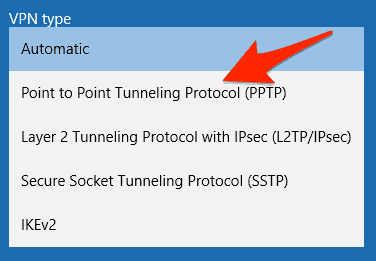 Windows (built-in) from the VPN provider pull-down menu. Then enter a name in the Company Name field. Enter the VPN ip address in the field. Select your type of VPN connection. For the Type of sign-in info select User name and password. When you’ve entered all of the info, click the Save button.